It has been a tense few weeks for fans as we learned there might be challenges at the negotiating table in regards to our beloved Days of our Lives. The cliffhanger in this real-life drama had fans wondering whether DAYS would see another day, or at least another year. Fortunately for fans, as with Mark Twain, reports of the demise of the 50-year soap were greatly exaggerated. Although most of us will never know what happens behind closed doors at NBC/Sony, one thing is certain, there are sticking points in every contract negotiation. The same goes for a television show’s renewal. Many issues come into play—salaries, set budget, and ratings to name a few. One thing is certain—with only one daytime soap opera remaining on the NBC line-up, I would imagine the-powers-that-be would be hard-pressed to cancel. Another aspect that cannot be overlooked is the obvious lack of longevity of most daytime talk and/or reality shows. While some stay on the canvas for a few seasons, I can count on one hand those which have stood the test of time… and ratings. Even outstanding anchors, such as Katie Couric and Meredith Vieira have had marginal success at best. 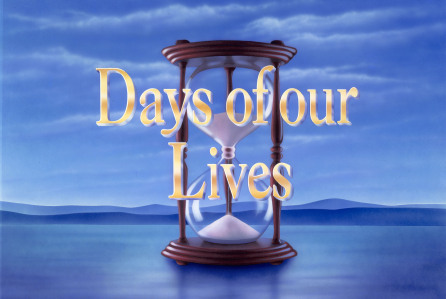 Days of our Lives has stood the test of time. Created by Ted and Betty Corday, with the irrefutable support of Irna Phillips and William J. Bell, DAYS has engaged viewers, and sustained fans, for over 50 years. Now, with the announcement of renewal for at least one more year, with an option for two, fans can count on their heroes, heroines, villains, and generally out-of-the-ordinary characters, and their outrageous stories, to continue coming to their TV screens every weekday. Let’s take this time to all celebrate this victory! Whether we love everything about Days of our Lives or not, we can revel in the knowledge that we can continue to enjoy every aspect of the show for at least another year. Here’s hoping we will continue to have our beloved soap all of the Days of our Lives! Carolyn LeVine Topol regularly contributes television and web series features to Serial Scoop. Having always dreamed of writing her own version of The Great American Novel, it took her many years to discover her most heartfelt stories took their form in the creation of LGBT romances. Carolyn had one lesser-known passion, her dedication to all things "soap opera". Starting as a child with "Dark Shadows" and "Secret Storm", Carolyn has found a way to keep up with nearly every soap, on every network over the past 45 years!